The team decided to go to a re chao tonight (20 Civic Boulevard Section 4, 2711-0985). It was fine. 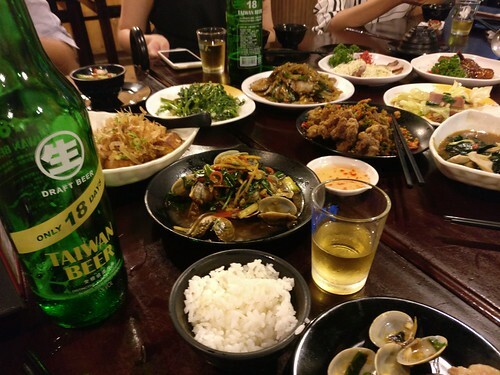 I wouldn't go out of my way for the food alone, but all of these little salty dishes went nicely with that 18 Day Taiwan Beer. Perhaps the much more interesting thing was going up to the second-floor of the extension wing; those seriously low ceilings made it feel like a scene in Being John Malkovich.